Actor Brad Pitt holds hands with his adorable daughter Zahara, after visiting The Grove shopping center on Saturday, September 25 in Los Angeles, CA. Brad, 46, and Zahara, 5, attended a birthday party at the American Girl store for rocker Chris Cornell’s daughter Toni, who turned 6. 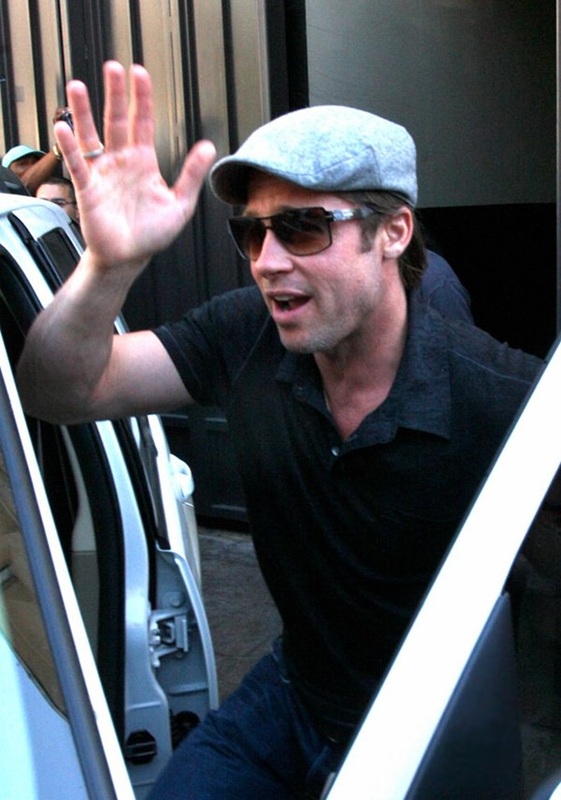 Then Brad carefully held Zahara’s hand as they made their exit while offering up a wave and smile to fans gathered to catch a glimpse of the Hollywood hunk. Pitt ended up having to direct people to move out of the way as he then navigated his white SUV through the crowd en route to the family home in the Hollywood Hills. In July 2005, Pitt accompanied Jolie to Ethiopia, where she adopted the six-month-old girl Zahara. It was confirmed later, in December 2005, that Pitt was seeking to legally adopt Jolie’s two children, Maddox and Zahara. On January 19, 2006, a California judge granted their request to change the children’s surnames to “Jolie-Pitt”. This entry was posted in Actors, Angelina Jolie, Brad Pitt, Celebs on September 26, 2010 by admin. Actress Angelina Jolie poses for a photo call, presenting her new action thriller “Salt”. It was held at Summer of Sony in Cancun, Mexico. The 35-year-old actress was joined by co-star Chiwetel Ejiofor and director Philip Noyce at the event. Angelina Jolie plays Evelyn Salt, accused of being a KGB sleeper agent, on the run to try to clear her name. She is wearing a Versace dress, Ferragamo shoes, and jewelry of her own design. Salt will be released in theaters on July 23! This entry was posted in Angelina Jolie, Celebs, Movies on July 2, 2010 by admin.